First there was Goop, and now there’s Poosh! 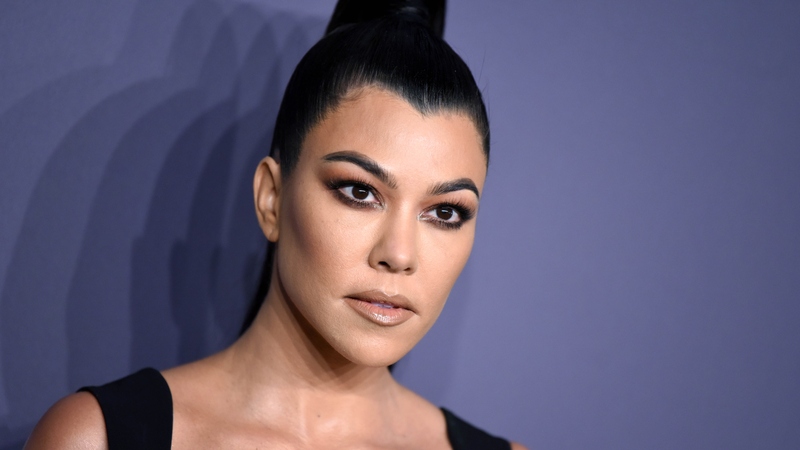 For the modern woman looking for a little 4-1-1 on self-care, Kourtney Kardashian is moving in on Gwyneth Paltrow’s territory with a new lifestyle website inviting fans to #pooshtheboundaries of health and wellness. Among the advice already creating a buzz? The Keeping Up With the Kardashians star offers a list of must-haves for a relaxing night in — and while we’re totally in favor of treating yo’ self, suffice it to say you better crack open your piggy-bank if you want to be a lady of Poosh leisure. We’ve all had those moments though, right? You’re tired. It’s too people-y out. Pick your poison, but the bottom line is there are “nights you simply want to stay home and have time to yourself.” Well, Poosh apparently has everything you need (a “reliable kit,” per the site) to enjoy an evening of much-deserved R&R. It’ll cost you a pretty penny, though. In all fairness, the list isn’t entirely comprised of price-prohibitive items. Poosh, and therefore Kardashian by proxy, recommends kicking off the “chill-out process” by downing a few CBD gummies — the recommended bottle of which will only set you back $31.34 on Amazon. Then there’s a detoxifying Epsom salt treatment bath bomb from Ulta, which seems like a straight-up bargain at less than four dollars. At $12 per month, the Happy Not Perfect guided meditation app seems like a worthy investment. And if you need to alleviate tension, the soothing and calming effects of an $18 bottle of lavender essential oil should do the trick. You know what’s far less likely to alleviate tension, though? The hit your bank account will take if you decide to go all-in on Poosh’s remaining must-haves. Like, for instance, a $99 plush robe from Nordstrom or the real doozy, an LED light mask that ranges in price from $89 to $2,800, depending on which package you choose. Although it shouldn’t surprise anyone that the Kardashian clan likely indulges in such luxury items for a simple lazy night in, the way the reality star positioned Poosh at launch seemed to imply that perhaps even we mere mortals would be able to partake (without going broke). For a site virtually billed as an ideal and less Goop-exclusive solution for the modern woman, the tally for a solo Netflix-and-chill experience seems a bit steep. Curious just how much bank you need to fund such a night? If you’re running a tally, Kardashian’s Poosh-approved R&R will ultimately cost you $4,753.07. But in full disclosure, for that figure, I’ll come to your house, wrap you in a snuggly blanket still warm from the dryer, draw you a bath, rub essential oil on your pressure points and chant calming mantras into your ear.